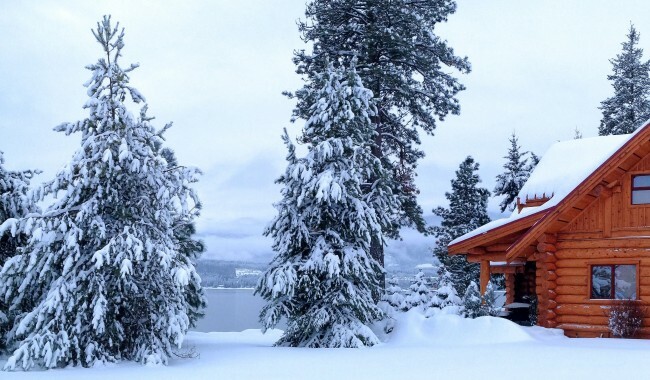 Home / Uncategorized / Building a Log Home: you may never need another vacation! For many people, building a log home is more than fabricating a structure that provides shelter. It’s often about taking a step away from a crowded urban existence or a rapidly changing world dominated by technology and media. It’s about finding a place to live an authentic life where craftsmanship is appreciated and traditions kept alive. It’s where you can relax by your fireplace with nobody looking in your windows, and sit on your front porch facing only the beauty of nature. It’s where you get to choose which modern elements you really need without feeling encroached upon by those you don’t. Where you can breathe! Your log home can be a place you never want to leave…unless you really love to travel! Modern rustic homes are loaded with upgrades and conveniences. Custom log homes are often the most luxurious dream homes or log cabin wilderness retreats you can imagine. Carved from wood and enhanced by stone accents, a custom log cabin or custom timber home takes you into the forest and back in time: but it doesn’t have to take you away from spa bathrooms, presidential master suite retreats, chef’s kitchens and baronial scale great rooms. Even off grid living can offer unparalleled comfort and sanctuary–unless you’d prefer the ultimate simple life of a tiny rustic log cabin home. A custom log home can have all the amenities you can imagine. Or very few. It’s up to you. In the interior of British Columbia, Canada winters are cold. And long. He’s right about the bugs but, although snowmobiling, snowshoeing, snowboarding and skiing are incredible outdoor experiences that are unique to the winter season, some of us still want to travel south when the sky stays dark and cold too long. We rarely bring home more than an attitude adjustment and an increased appreciation for the life we live surrounded by green forests of Canadian timber, fresh water and crisp mountain air. Building log homes immerses us in the natural beauty of wood and the satisfaction of fine craftsmanship. We help create unique log and timber homes for clients who share our love of the outdoors and hand crafted rugged dream homes. Maybe your log home will be part of a life you never want a vacation from. Or maybe (like us) your custom log cabin or timber home will be part of a life that sometimes takes you away on adventures and is always there to welcome you safely home…where you can appreciate the strength of the wood and the quality of the workmanship each time you walk in the door!